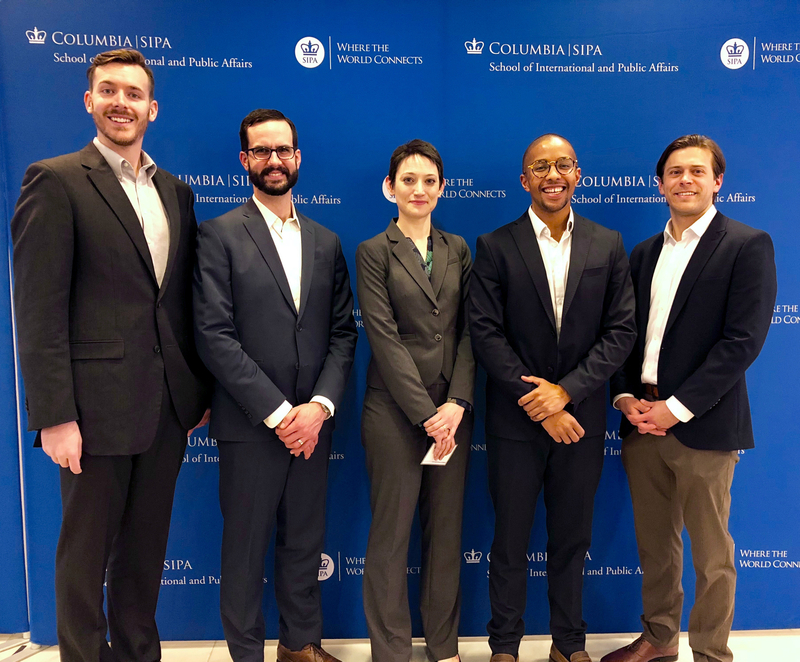 A team of Colorado School of Mines graduate students earned second place in the Columbia University Energy Symposium’s 3rd Annual Case Competition on Feb. 1. The team of August Steinbeck, Phillip Ruban, Megan Geuss, Reuben Mashimbye and Kyle Chamberlain narrowly missed out on the top honors in the competition, which pits teams of three to six graduate students to present the most creative and innovative solutions to a main challenge facing the energy sector. Edging out the Mines team for first place was a team from Stanford University. Also sending teams were Duke University, University of Michigan, University of Chicago, University of Pittsburgh, Yale University, New York University, Carnegie Mellon University and Columbia. “The results just speak to the hard work the students put in, the education students get at Mines and the kind of student who is attracted to Mines,” said Ian Lange, director of Mines’ mineral and energy economics graduate program. This year’s case focused on microgrids, with the teams challenged to present a business case for developing a microgrid to serve a fictional city in the Northeast – population 3,000 – that is currently underserved by the utility. A total of 14 teams were invited to New York to compete in the one-day challenge, out of an original field of 34. Only five of those teams moved on to the final round, where they were given two hours to adjust their case based on new “disruptive” information. Judging the competition were industry experts from Booz Allen Hamilton, NRG, London Economics and Tesla. The top three teams earned a cash prize of $2,500, $1,500 and $500, respectively. "It was a great experience,” Chamberlain said. “It really helps you understand the different aspects of pitching a solution to a group of people." “I learned something from everyone in the group, all of whom had their own expertise,” Geuss said.